The Hidden Persuaders project studies the history of ‘brainwashing’ and other forms of mind control as they relate to the expertise and status of the psy professions during the Cold War. Our inquiries here chart important chapters in the ‘history of the present’, especially in light of recent revelations that the psychological methods once used to protect against ‘brainwashing’ have been reverse engineered as techniques of ‘enhanced interrogation’ in the ‘War on Terror’. This past week saw yet another example of how the role of psy professionals as potential experts in interrogation methods—a role that was forged during the Cold War’s brainwashing scandals—continues to invoke controversy, especially amongst psy professionals themselves. In dispute, I suggest in this post, are the proper scope and purposes of the profession of psychology: should it continue to countenance the weaponising of psychological knowledge for the good of ‘national security’? This report was made publicly available on 10 July. You can download the full document, and also its supporting evidence, from the APA’s website. Many knowledgeable observers have already described it as a bombshell for the architects of the association’s 2005 policy to allow American psychologists to participate in enhanced interrogations for the sake of national security. The report requires careful reading and contextualisation, but at the outset Hoffman’s analysis validates much of the criticism that American psychologists have made about the APA’s ethical stance leading to, and following from, the creation of its 2005 policy. Here I provide some background to the Independent Review, also known as ‘the Hoffman report’. I describe its major findings, what led to its commissioning, and how it raises new questions about the evolving role of American psy professionals in national security and defence organisations. Our investigation determined that key APA officials, principally the APA Ethics Director joined and supported at times by other APA officials, colluded with important DoD [Department of Defense] officials to have APA issue loose, high-level ethical guidelines that did not constrain DoD in any greater fashion than existing DoD interrogation guidelines. We concluded that APA’s principal motive in doing so was to align APA and curry favor with DoD (Independent Review 2015, p. 9). As requested by the APA, Hoffman’s investigation focused in particular on the circumstances surrounding the meeting that produced the APA’s 2005 ethical guidelines on national security interrogation: a meeting of the Presidential Task Force on Ethics and National Security (known as the PENS Task Force), which took place between 24 and 26 June, 2005. The twelve guidelines that emerged from this meeting were adopted as official APA policy less than a week later in an emergency session of the APA Board of Directors. In short, the policy allowed for psychologists to participate in national security interrogations when using methods that were ‘safe, legal, effective and ethical’ – but did not delve into the complexities of these criteria. The APA asked Hoffman to consider whether APA representatives had coordinated with DoD, CIA or other government officials to create this policy in order ‘to support torture’. Hoffman, a former federal prosecutor, did not find evidence of APA collusion with the CIA in composing the PENS Task Force and its guidelines. However, he and his team of investigators found copious and specific evidence to support the charge of collusion between APA representatives and DoD officials. Hoffman argues that APA representatives did not knowingly pursue this collaboration as a means to support the use of torture. Rather, members of the PENS Task Force did not seek information about the methods that were then being used in national security interrogations at sites like Guantanamo Bay, or consider whether they constituted torture. 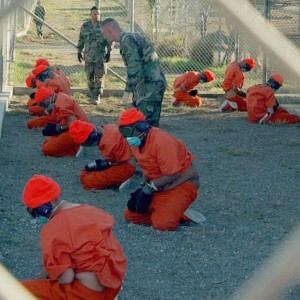 Nor did the PENS Task Force formally discuss whether questionable interrogation techniques were likely to be continued, with the assistance of psychologists, under the ethical guidelines they recommended. These motives, as we will see below, should lead us to reflect on the historical relationship between psychologists and the US government’s national security apparatus, and the potential for this evolving relationship to destabilise the APA and the profession of psychology. But first, it is necessary to consider the present atmosphere of heightened controversy that surrounds the Hoffman report. Why has a long-simmering internal debate about institutional policy spilled so spectacularly into the public sphere? The APA’s 2005 ethics policy became a flashpoint for debate ever since the PENS Task Force guidelines were adopted in an ’emergency meeting’ of the APA Board of Directors in July 2005. Individual psychologists publicly and doggedly attacked the policy. Among the most prominent were Jean Maria Arrigo (who had served on the PENS Task Force), Steven Soldz, and Roy Eidelson—though there were many, many others. Organisations like Psychologists for Social Responsibility, Physicians for Human Rights, and Coalition for an Ethical Psychology called for an investigation into the policy’s creation and adoption, as well as as its repeal and replacement. Some individuals and organisations even called on APA members to withold their membership dues. Outside of the psychological profession, policies set by the American Medical Association and the American Psychiatric Association in 2006, which clearly prohibited their members from taking part in enhanced interrogations, put the APA’s more permissive stance in harsh light. 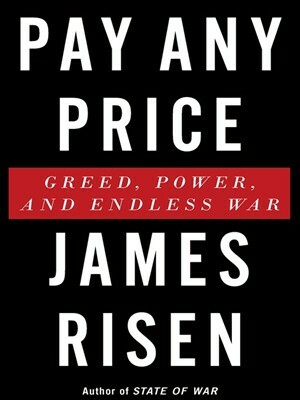 The cover to Risen’s book, published by Houghton Mifflin Harcourt in October 2014. Risen’s book suggested that there was evidence for what many American psychologists had long claimed: that the 2005 policy was not only lax in ethical substance, but had been unduly influenced by Bush Administration officials seeking cover for their use of enhanced interrogation. Though APA representatives officially denied these allegations, they recognised that Risen’s book had created a cloud of uncertainty around the organisation that only an independent investigation could dispel. In retaining Hoffman to provide a thorough and definitive review, the association gave Hoffman and his team at Sidley Austin unfettered access to internal APA emails, electronic and hard copy documents, and handwritten notes. Hoffman and his team interviewed 148 participants and witnesses, and sought additional documents and correspondence from non-APA sources. During Hoffman’s investigation, the results of two other independent investigations were published that, it appears, placed further pressure on the APA to produce its own review quickly, and to make the results public. In December 2014 the Senate Select Committee on Intelligence released a summary of its findings on the effectiveness of CIA enhanced interrogation. This document provided further insight into psychologists’ involvement in designing the CIA’s strategies for interrogation, in particular the work of Air Force psychologists James Mitchell (a former APA member) and Bruce Jessen. In April 2015, an independent report, All the President’s Psychologists, was published by a group of psychologists critical of the APA’s 2005 policy. Written by Stephen Soldz, Nathaniel Raymond, and Steven Reisner, it analyses the emails that Scott Gerwehr gave Risen and finds that thoroughly support Risen’s claims. APA officials may have thought Hoffman’s independent review would exonerate their organisation from the worst of Risen’s charges. Yet Hoffman’s careful investigation found undeniable evidence of secret, behind-the-scenes strategising and collaboration between the Director of the APA’s Ethics Office, Stephen Behnke, and Morgan Banks, the Chief of Psychological Operations for US Army Special Operations Command and head of the Army SERE Training Program, in the crucial period between 2004 and 2008. The review—with its discussion of the APA’s institutional motives—suggests that this is not a problem of certain individuals behaving inappropriately. There appear to be deeper tensions within the organisation that enabled, perhaps even encouraged, this clandestine collusion. It may seem strange that the APA asked its independent reviewer to assess the institutional circumstances surrounding its controversial 2005 ethics policy, rather than to address the question of whether particular APA members crossed an ethical boundary in participating in national security interrogations. However, the charge of secret collaboration between APA and DoD officials in setting APA ethics policy speaks to a debate that has been roiling the profession of psychology within the United States. Should psychology—a profession dedicated to the care and improvement of human lives, but which owes so much of its modern form to the military—be used in situations where supporting the military’s mission requires psychologists to cause harm to incarcerated individuals? Is the essential character of the APA, and of the profession, under siege by this seemingly new use for psychology? The Hoffman report hints that two camps are now pitted against each other within the APA. The first group, perhaps the overwhelming majority of psychologists, see their profession in light of its core values to provide care for others, improve persons’ quality of life, and ‘do no harm’. This group has historically held sway over the APA’s ethical codes, which, since the first code was set in 1953, have sought to protect psychology from quackery, dubious forms of human experimentation, and other kinds of abuse. The other, smaller, yet still influential group is comprised of ‘operational psychologists’ and their defenders, who see psychologists as potential operatives in the government’s mission to protect its citizens. Members of this latter group tend to defend the use of interrogation techniques on the basis of their ability to produce actionable intelligence that will save American lives (Dunivin et al., 2011). Both sides agree that operational psychology, which emerged as a field in the wake of 9/11, represents a new development within military psychology. The question is whether the new ‘operational psychology’ can be a positive development for the wider profession, or is undermining it. There is no distinct body of knowledge that belongs to operational psychology. Rather, operational psychologists serve as ‘translators’ of psychological knowledge to commanders and other operators (Palarea 2007). Operational psychology differs from traditional military psychology in that its behavioral scientists use their expertise directly in combat or in other theaters of action, as if their expertise was itself a defensive shield, weapon, or similar instrument for achieving mission objectives. In the 2006 special issue of the journal Military Psychology, devoted to the emerging field of operational psychology, Mark A. Staal and James A. Stephenson describe a continuum of roles and their effects within military psychology: at one end are tasks performed by military psychologists to care for service personnel, including seeing to soldiers’ mental health; at the other end is the ‘operational’ use of psychology in interrogation support, ‘psy ops’, and psychological profiling. In the middle of the continuum are the jobs that military psychologists do to improve ‘human performance’, such as personnel selection and training (Staal and Stephenson 2006). Should psychology—a profession dedicated to the care and improvement of human lives, but which owes so much of its modern form to the military—be used in situations where supporting the military’s mission requires psychologists to cause harm to incarcerated individuals? Consequently, while earlier APA ethics codes conceived of human subjects in terms of their vulnerability to the psychological distress that could be caused by experimenters and therapists (Stark 2010)—and famous experiments by Stanley Milgram and Philip Zimbardo convinced many psychologists that they possessed power over subjects that could too easily be perverted to cause lasting harm—here we see the tables turned: in the work of operational psychologists, the subject (e.g., a detainee or criminal) is seen in terms of his danger to others and his degree of resistance to cooperating with authorities. The operational psychologist is percieved as being exposed to this danger and resistance along with her fellow operators, and in a unique position to deploy her knowledge in order to protect her colleagues and society at large. Consequently, some operational psychologists believe that norms of ethical practice are somewhat different for their field than for those in the profession who treat patients or perform controlled experiments on human subjects (Hubbard 2007; Stephenson and Staal 2007). There is still much to learn about the internal dynamics of the emerging field of ‘operational psychology’. However, if this preliminary account of the field is correct, then it raises the question of whether operational psychology is fundamentally at odds with the older ethical and professional traditions of American psychology—and if, in actual fact, it is a natural outgrowth of psychology’s long-standing relationship with national defence. Though operational psychology is by recent accounts a ‘new’ subfield in psychology, it has complex roots in the past that are familiar and yet not well understood. The American psychological profession has long been very supportive of military efforts—most notably through the selection, classification, training, and mental health care of service personnel. In the United States, this tradition began in World War I with the IQ and aptitude testing of Army soldiers, and the treatment of ‘shell shock’ (though psychologists were joined by psychiatrists and physicians in this latter role). World War II saw the entry of psychologists into every branch of the US military, performing every function their expertise would allow, including psychometric testing, human factors research, ‘morale’ studies, propaganda studies, and the then-new specialism of ‘clinical psychology’. Psychologists also worked for the Office of Strategic Services, the precursor of the CIA, perhaps most notoriously in the scientific assessment of personnel to be trained as spies, and in the profiling of individuals such as Adolf Hitler. It is to the OSS in particular that operational psychologists look when locating the origins of their subfield (e.g., Staal and Stephenson 2013). It is not an exaggeration to say that the APA and the US military have historically been partners in building the profession of psychology within the United States. 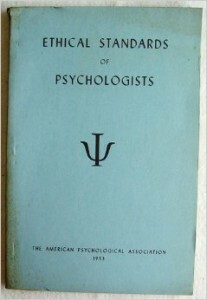 As historian James Capshew has convincingly argued, American psychologists’ service during World War II consolidated the power of the APA as the premier professional organisation for American psychologists. The APA’s war efforts laid the foundation for its postwar functions in accrediting the training of psychologists, advocating on their behalf in legal and political disputes, and in policing the ethical boundaries of the profession (Capshew, 1999; Capshew and Hilgard 1992). In the postwar period, the military services, Department of Defense, CIA and related agencies would employ thousands of psychologists and ‘behavioral scientists’, and would fund a wide variety of psychological research. Thus, just as the Second World War established the utility of psychological expertise beyond any doubt, it bound the profession of psychology—and its representative body, the APA—to the causes of national defence and national security. The first APA Ethics Code was created in 1953 in response to the association’s rapid expansion in membership and function after World War II (Stark 2010). There is also a darker side to the history of psychology’s involvement in military and national security organisations, one that has become part of our popular imagination as well as public record since the publication of monographs such as John Marks’ The Search for the Manchurian Candidate (1979) and Alfred McCoy’s A Question of Torture: CIA Interrogation from the Cold War to the War on Terror (2006). McCoy’s history traces how the brainwashing scandals of the Korean War created a new role for psy expertise within the growing national security state, and this expertise was turned toward some of the United States government’s most unsavoury practices in the Cold War and beyond. During the Korean War, American airmen were held captive and interrogated by Chinese forces, and then forced to make false confessions about their use of biological warfare against the Korean people. This seeming reprise of the Soviet show trials of the 1930s and ’40s suggested that the American airmen had been psychologically and physically tortured until they were ‘brainwashed’. Wanting to know more about how these men could be brainwashed to tell lies about their country, and about the experiences of other American soldiers who may have been submitted to the same treatment, the US armed services hired psychologists, psychiatrists and psychoanalysts to study these prisoners of war on their return to the US. These psy experts deciphered the range of techniques that had been used, and their short- and long-term psychological effects. The findings of these psy experts—for instance, Albert Biderman’s chart of communist interrogation techniques—were used by the Air Force to create its Survival, Evasion, Resistance and Escape (SERE) curriculum for training personnel to resist interrogation and ‘brainwashing’. This body of knowledge was also deployed, McCoy shows, in the CIA’s KUBARK field manual on the effective use of torture in counterintelligence interrogation, which was used by US agents throughout the Cold War. In the 1950s and ’60s, the CIA’s MK-Ultra program funded scientific experiments on the effects of hallucinogenic drugs, sensory deprivation, sleep deprivation, and other techniques now classed as ‘enhanced interrogation’ (Marks, 1979). US Senate reports have confirmed that these Cold War methods were ‘reverse engineered’ in the initiation of the CIA’s enhanced interrogation program under the Bush Administration (US Congress, 2008; 2014). And yet, while we can trace the uses of psychological concepts through this historical trajectory, for example noting every time that Albert Biderman’s chart is cited, we do not know much about whether and which psy professionals were inside the CIA, the DoD, or other intelligence agencies during this period, and if they were purposefully using their psychological expertise to consult on these morally questionable developments. Were there, in practical fact, ‘operational psychologists’ before 9/11? If so, how did they understand the ethical boundaries of their work? Just as the Second World War established the utility of psychological expertise for national defence, it bound the profession of psychology—and its representative body, the APA—to the causes of national defence and national security. The complex internal dynamics of operational psychology suggests that we need to investigate a different, but related, trajectory to the history we already know, one that focuses on the employment of psychologists (and their close compatriots, the ‘behavioral scientists’) within US intelligence organisations. This story would begin with the recruitment of psychologists into the OSS in World War II and their significance in establishing the CIA in 1947, but it would also assess the many roles played by psychologists in the intelligence operations of the military services and the Department of Defense. It might also include the work of psychologists in law enforcement organisations like the FBI and civilian police forces. Such an historical effort would need to explore the distinctive institutional cultures of these very different agencies, including the particular work demands, career trajectories, and professional codes typical to each. A crucially important goal of such a history would be to provide a more systematic account of these behavioral scientists’ own evolving understanding of the ‘ethical’ creation and application of psychological knowledge in their work. The Hoffman report gives a convincing account of the PENS Task Force and the behavior of particular APA representatives in colluding with DoD officials, but it cannot resolve the essential tension: whither operational psychology? Will this field continue to be encouraged within the institutional framework of the American Psychological Association? How will, and should, it be shaped by American psychology’s ethical, intellectual and professional traditions? If it is fundamentally at odds with the modern profession of psychology, does it make sense to cut it out of the APA – or does that place it out of the reach of those who can best reform its excesses? Has the close relationship between American psychology and the cause of national security, between the APA and the US military, begun to unravel? Psychologists who are sickened by their operational counterparts may never accept the premise that psychology can ethically be used to ‘target’ individuals, and indeed, perhaps they never should. Camp X-Ray Detainees, Guantanamo Bay Naval Base. Official US Department of Defense photograph by Petty Officer 1st class Shane T. McCoy, US Navy. 11 January 2002. Arrigo, J.M, Eidelson, R. and Bennett, R. (2012). Psychology Under Fire: Adversarial Operational Psychology and Psychological Ethics. Peace and Conflict: Journal of Peace Psychology 18:384-400. Capshew, James H. (1999). Psychologists on the March: Science, Practice, and Professional Identity in America, 1929-1969. Cambridge: Cambridge University Press. Capshew, James H. and Hilgard, Ernest R. (1992) The Power of Service: World War II and Professional Reform in the American Psychological Association. In The American Psychological Association: A Historical Perspective. In The American Psychological Association: A Historical Perspective. R.B Evans, V.S. Sexton and T.C. Cadwallader, eds. 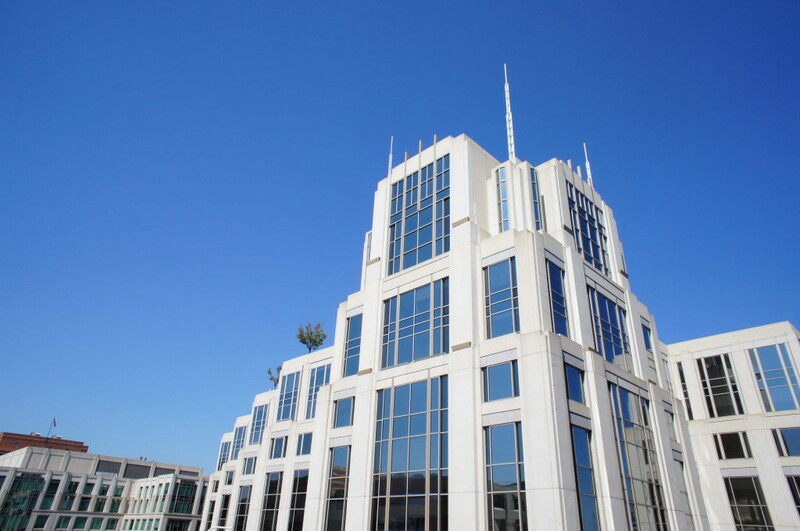 Washington, DC: American Psychological Association. 149-175. Dunivin, D., Banks, M.L., Staal, M.A. and Stephenson, J.A. (2011) Behavioral Science Consultation to Interrogation and Debriefing Operations: Ethical Considerations. In Ethical Practice in Operational Psychology: Military and National Intelligence Applications. Carrie H. Kennedy and Thomas J. Williams, eds. Washington, DC: American Psychological Association. 85-106. Hoffman, D.H., Carter, D.J., Viglucci Lopez, C.R., Benzmiller, H.L., Guo, A.X., Latifi, S.Y., and Craig, D.C. (2015). Independent Review Relation to APA Ethics Guidelines, National Security Interrogations, and Torture. Report to the Special Committee of the Board of Directors of the American Psychological Association. 2 July, 2105. Marks, John D. (1979) The Search for the ‘Manchurian Candidate’: The CIA and Mind Control. New York: Norton. Reprinted in 1991. Mayer, Jane. The Experiment. New Yorker. 11 July 2005. McCoy, Alfred W. (2006). A Question of Torture: CIA Interrogation, from the Cold War to the War on Terror. New York: Metropolitan Books. Risen, James (2014). 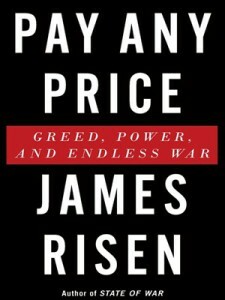 Pay Any Price: Greed, Power, and Endless War. New York: Houghton Mifflin Harcourt. Staal, M. A., and Stephenson, J. A. (2006). Operational Psychology: An Emerging Subdiscipline in Psychology. Military Psychology 18: 269–282. Stephenson, J. A., and Staal, M. A. (2007). An ethical decision-making model for operational psychology. Ethics & Behavior 17: 61–82. U.S. Congress, Senate, Committee on Armed Services. Inquiry into the Treatment of Detainees in U.S. Custody. November 20, 2008. U.S. Congress, Senate, Select Committee on Intelligence. Executive Summary. Committee Study of the Central Intelligence Agency’s Detention and Interrogation Program. December 3, 2014.